The free Psiphon VPN functions well and comes with plenty to offer, from speed of use to multiple protocol options. It's also easy to install and comes with clear terms and conditions. Among them: Some limited data collection, used to support Psiphon's ad-based revenue model and keep the experience free. Overall, Psiphon VPN represents a solid option, even if the paid alternatives tend to come with a wider raft of features. Apart from the fact that it’s free? Well, for a zero-cost tool it’s surprisingly slick and actually quite speedy. Psiphon functions, in principle, like any other VPN. It creates a connection between your computer and Psiphon’s servers, then using that link to give you an anonymous, snooper-free connection. It’s funded by adverts that pop up in your browser when you connect – fortunately, these are fairly unobtrusive. These aren’t targeted ads and the service doesn’t collect personal data, though there is some (anonymised) data logging, including by advertising partners. 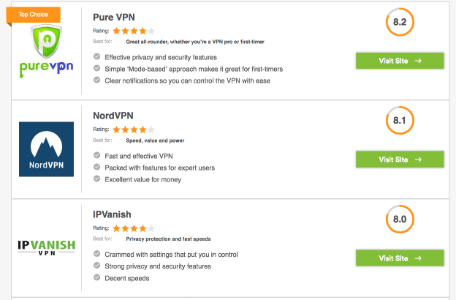 Below, we compare Psiphon VPN to the top ten VPN providers on the market, including our most recommended brands, PureVPN, NordVPN and IPVanish. Verdict A safe, simple, outstanding VPN Fast, effective, and one of the best Powerful features and security, but pricey The all-around best free VPN Fun and easy to use Free, fast, ad driven Simple, limited to browser Limited to just 2GB of data Tough to understand, slow to use Good service at good speeds Demonstrably unsecure. Nuff said. 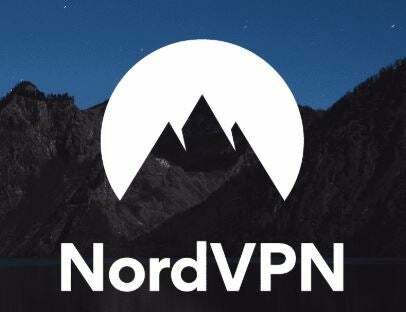 A lot of free VPN services can leave much to be desired. Psiphon, however, has plenty to recommend it. 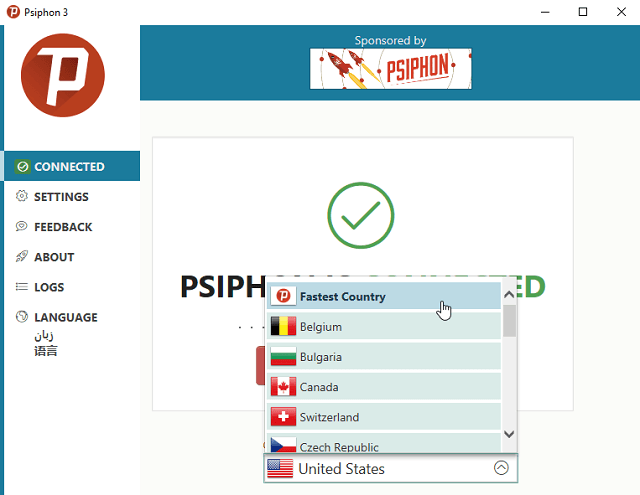 Despite being free, Psiphon did well in leak tests, keeping our true IP address well hidden. It also has some advanced features you might expected from freebie software. 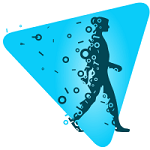 For example, it gives you a choice of protocols that allow you to prioritise privacy or performance. So, if a masked, but still speedy, connection is your priority, opt for the latter. Want stronger privacy assurances? Go for the former. There’s also a split tunnel feature that enables services based in the same country to connect through a normal internet connection. The logic being that these won’t be censored anyway (for example, accessing US Netflix within the US), and you can enjoy normal speeds when using those services. Psiphon is fairly speedy when in use. No, you won’t enjoy the same internet speeds you’d get without a VPN – we measured a drop-off of around 50% with Psiphon enabled. Still, this is actually faster on both long-distance and local VPN links than many paid-for VPN apps. Psiphon doesn’t claim to be an all-singing, all-dancing VPN. Given there’s no fee for the service, it’s only fair to expect some limitations, but it’s worth being aware of these. 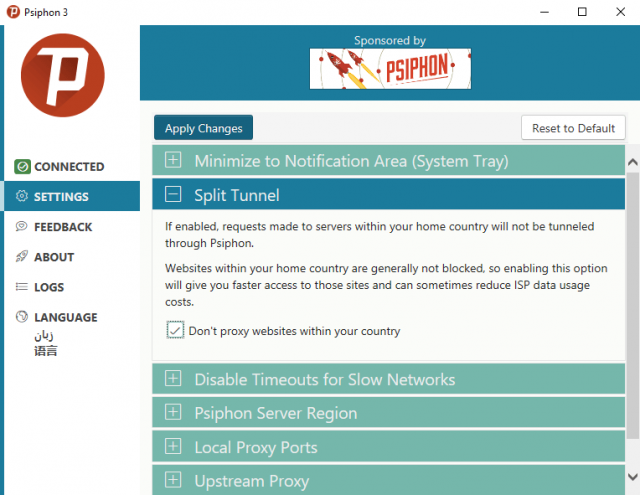 If you’re after a VPN for certain specific purposes, Psiphon may not be for you. For instance, you can’t share files across Peer to Peer networks, or unblock Netflix using this app. That said, in our tests, some of the bigger paid-for VPN names that claim to unblock Netflix failed to successfully do so. This doesn’t include individual IP addresses. Other VPNs log and retain less information, but then, those services usually come at a cost. Crucially, the developers warn that while Psiphon can give you uncensored access to the internet, it’s not really designed to guarantee your privacy or anonymity, at least with the sites that you connect to. The site even recommends tools that can do that job better. There’s no need to sign up for an account or hand over credit card details, which is always reassuring when you’re after online privacy. Using Psiphon is as easy as downloading the Windows or macOS apps from the Psiphon website, or the Android or iOS apps from their respective app stores. Once the app is installed, you shouldn’t have any problem using it, either. Just click the button to connect to the nearest, fastest server, or select one of the 20 countries to connect to from the list. Free VPNs usually come with intrusive ads or a massive catch – and often both. But Psiphon is an exception. 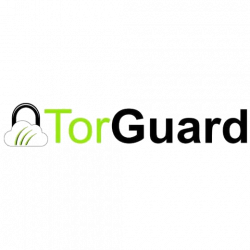 It’s not the right VPN for everyone, but it’s good for adding a layer of security and anonymity when you’re connecting to a public network, and does a useful job in helping those with censored internet to access websites that they might not otherwise see.